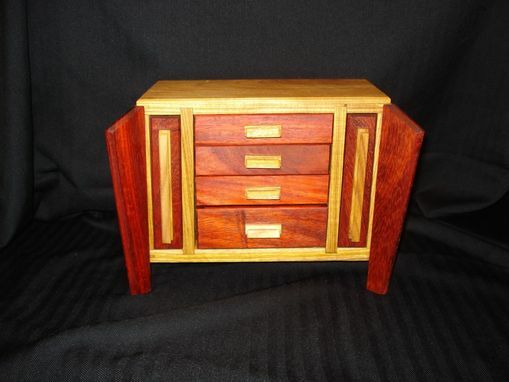 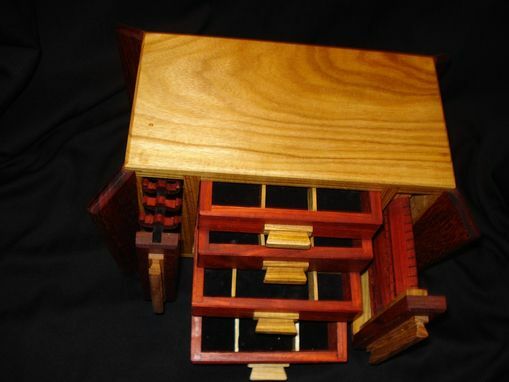 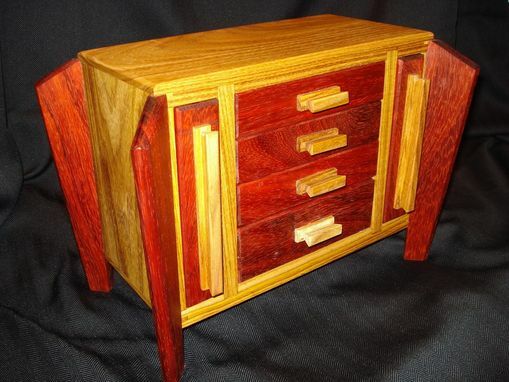 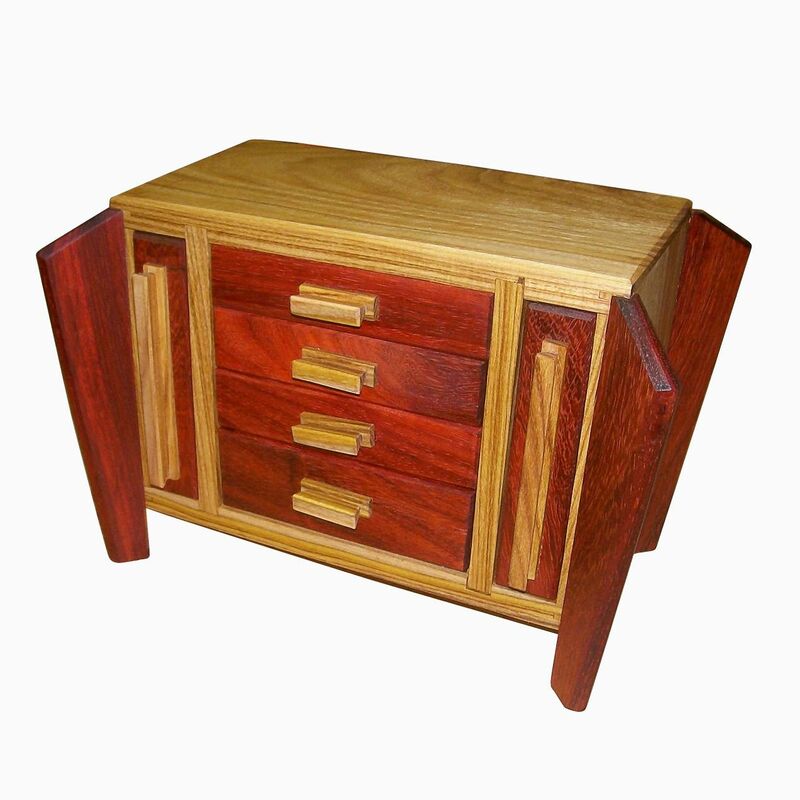 This box was built out of padauk and canary wood. 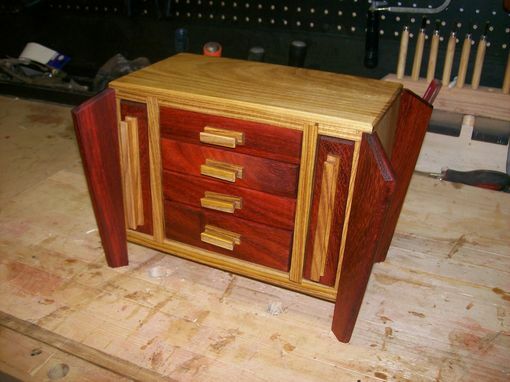 The right side vertical drawer has angled slats with notches for storing earrings. 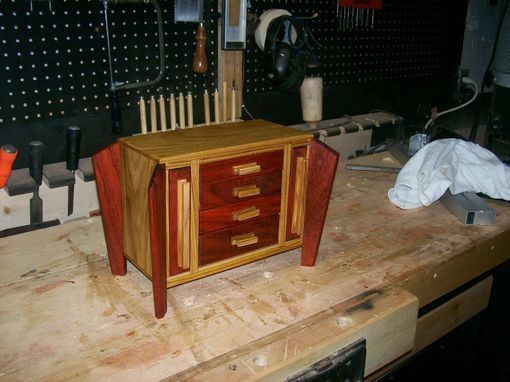 The right side has a place to hang bracelets and necklaces. 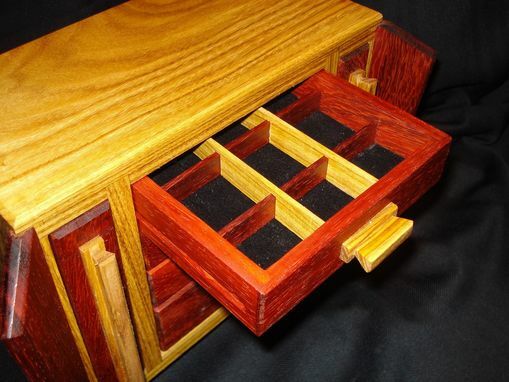 All four of the drawers have adjustable dividers with black velvet lining.